Think of an eBay or an Etsy website, but completely dedicated to vintage clothing & accessories sold online, and here you have Market Publique. Lauched in March 2009, Market Publique is an online marketplace for buyers and sellers of vintage clothing to trade online at one communal place. 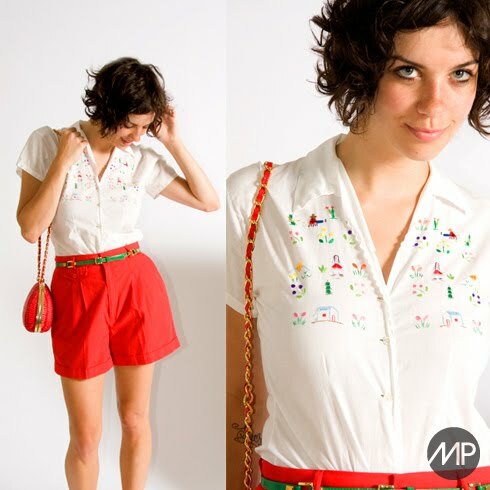 "Market Publique is the only marketplace dedicated to vintage fashion. We are committed to bringing the community together so we can all have a place to buy, sell and discuss vintage in a positive and focused environment. The company started when the three founders realized there was a lack of options for vintage sellers online. Market Publique is based out of Brooklyn, NY." 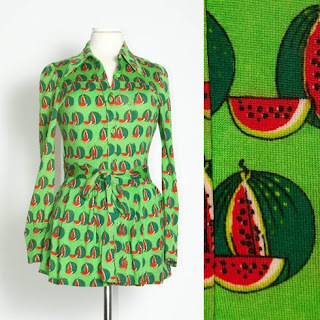 Are you a vintage clothing seller that would like to sell your clothes online? Market Publique may be the place for you. To sign up as a seller, costs are $0.25 for a listing fee and a flat 5% final value fee when the item sells. Click here for more information: Market Publique Seller Info. Alternatively, if you are a buyer of vintage clothing, this marketplace could be worth a browse, you might pick yourself a recycled fashion bargain. Market Publique also encompasses a pretty cool looking blog, which currently promotes a recent collaboration of Market Publique with Mod Cloth showcasing 'Lookbook - Beach Betty' , a vintage swimwear collection being auctioned off to benefit nonprofit organisation Fashion Delivers of whom donate clothing to victims of natural disasters.